Application: High pressure service with tight bends with petroleumbased hydraulic fluids, water/glycol, water- and fireresistant hydraulic fluids, hot oil, grease, lubricants, crude oil, fuel oils, air and water. 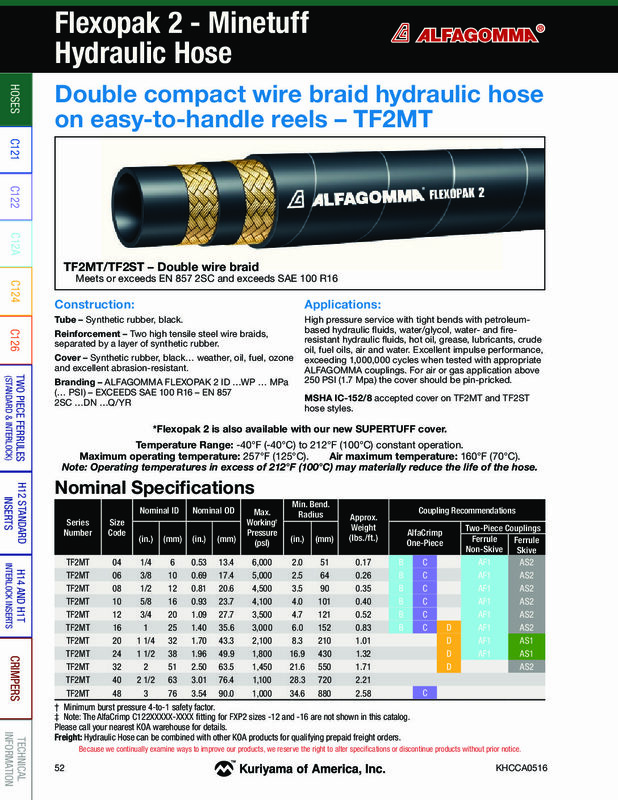 Excellent impulse performance, exceeding 1,000,000 cycles when tested with appropriate ALFAGOMMA couplings. For air or gas application above 250 PSI (1.7 Mpa) the cover should be pin-pricked.